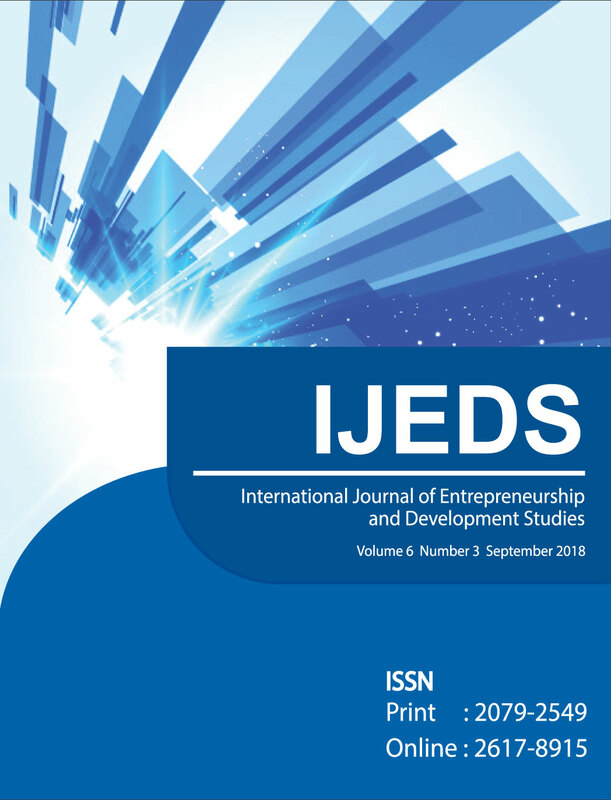 The International Journal of Entrepreneurship & Development Studies (IJEDS), a peer reviewed journal, invites papers of high academic standing from researchers in the field of business and social science. In business, it covers the discipline of accounting, auditing, management, marketing, international trade/commerce/business, e-commerce/business, corporate and social responsibility, supply chain management, technology management, innovation in business entrepreneurship, finance, insurance, banking, tourism and hospitality management, and information systems. In the fields, of social science, the domain for publication also includes sociology, psychology, English literature, linguistics development studies, economics, anthropology, journalism. population science, demography, world religion, women and gender studies, media studies, health economics, theology, public administration, and all other fields of arts and humanities.